Recording their live debut album Live Worship From Vertical Church in July 2012, and the sophomore album The Rock Won’t Move in October 2013; Vertical Church Band, the worship part of the Harvest Bible Chapel ministry based in Chicago, releases their third live album Church Songs this week via Essential Worship and Provident Label Group. With the debut featuring hit songs such as “Open up the Heavens”, “Not For a Moment (After All)”, “How Great Is The Love” and “Word Of God”, and the sophomore album boasting personal highlights such as “Only Jesus Can”, “The Rock Won’t Move”, “I Will Follow” and “Worthy, Worthy”, Vertical Church’s latest offering is 12 tracks of brutal honesty, raw emotion, and total devotion to our Lord and Saviour! Bringing many different worship leaders all serving the same God into a space that serves the one purpose of making Jesus famous; the result is once again nothing short of sheer brilliance, with worship leaders such as Andi Rozier, Meredith Andrews, Tara Rios and Kyle Friedricks each creating masterpieces and gem after gem. Church Songs truly is one of the best worship albums this year (granted 2015 is only just starting! ); this magical offering from Essential Worship deserves to be picked up on iTunes! Though the blend of different worship styles are contrasting in this live recording from Vertical Church Band; the first and second albums, and this one too, has proven that vibrancy and uniqueness is indeed a wonderful breath of fresh air! It’s something different, that stands out, and that’s definitely a good thing! Opening the album is the Hillsong-like guitar led worship anthem “All The Earth” led by Andi Rozier. Driven by the electric guitar, Andi passionately and ardently sings God’s praises, reminding us that Jesus’ name stands forever across all time, in all circumstances. Reminding me of Newsboys’ “He Reigns” thematically, Andi’s heart for Jesus shines through immensely here, as I am immersed totally in the worship experience, singing along with Andi ‘…praise the Lord, all the earth, all the earth, bless His name, only One name, now and always…’. Singing about how creation alone demands us to praise God because of who He is and His love for us, this is a stellar opening song. The celebratory mood does carry onto the rest of the album, and it’s fitting to place an energetic song as the first song, as it serves as the backdrop of what Vertical Church Band are all about- worshipping God in all seasons, and passionately crying out His praises, well done Andi for a superb first track. Andi also unveils the spoken word “Psalm 96”. In the track, Andi recites the whole Psalm with gusto and emotion, against a calm and serene piano undertone, then later on sings the bridge for “It’s Who You Are” within the song. It’s a bit unusual, to sing the reprise of a song before the song itself, but that’s exactly what happens here, with “It’s Who You Are”, Andi’s duet with Tara Rios, being a song after “Psalm 96”. The tactic works here, with the piano ballad being one of my favourite melodies of the album. Simple in its lyrics and melody, the song speaks about God’s faithfulness and His unending qualities. As Andi sings out about how God’s love and unbelievable qualities is just like Him, and how He will always be, there’s a sense of The Holy Spirit on the track, breathing life and prompting us to bask in God’s presence. “If I Have You”, another duet with Tara and Andi (with Tara leading instead of Andi) is another explosive highlight, as Tara vulnerably sings about her need for God, that ‘…if I have You and nothing else, I have everything…’. Brutally honest to the core and also sometimes uncomfortable (as how can we possible imagine our lives without our comfort and our material possessions? ), the confronting tune is sure to create unrest in us for a while, and that is definitely a good thing as we revaluate our priorities and remember about God’s priorities for us. Well done Tara for this revealing and contemplative piano ballad, where she channels her inner Kari Jobe and Kim Walker-Smith voice. Tara also wows us with “Restore My Soul”, a hymn like piano melody sounding eerily like the original version of “The Wonderful Cross”. Because of this I was so certain that I had heard the track before, but even though I haven’t, I am sure that Tara’s eloquence in singing and passion will ensure that the melody does reach ‘hymn like’ status. As Tara ardently asks God to renew her soul, so that we can like a life more like Jesus; the intent of living whole heartedly for Jesus is admirable and something we should all strive for while here on this earth. Well done Tara, you are such a gifted worship leader and songwriter! Sung by Kyle Friedricks, “Lamb Of God”, a slower pace electric guitar led ballad, speaks about how ‘…the lamb of God in my place, your blood poured out, my sin erased, it was my death You died, I am raised to life, hallelujah…’, basically the gospel in a nutshell, and musically is similar to something you would hear from Hillsong, and could be a radio single in the future. Simple yet effective, this track is sure to be loved by many in the future, and will be changing people’s lives! Kyle is another worship leader I admire in terms of songwriting and passion for Jesus, and you only need to look to this track to hear God’s anointing on his worship. But if you want further reason to love Kyle’s singing and writing, then “Come Ye Sinners” is a quiet, contemplative and motivational track, led by keys and the acoustic guitar that is sure to move and inspire any who listen. An all-including song about the fact that we can come to Jesus anytime we want to and lay down our burdens and troubles; Kyle eloquently sings out that ‘…I will rise and go to Jesus, He will embrace me as His own, and in the arms of my Saviour, there is life forevermore…’, with the chorus being reassuring to us that Jesus accepts us all the time, even when we stuff up. This song alone should bring us peace if there is turmoil in our lives; well done Kyle for your offerings that only enhance this already fantastic worship album! Meredith Andrews is one of my favourite female worship leaders of late, and her two offering here further cement my viewpoint. Both songs are polar opposites musically, with “Do What You Want To” being a guitar driven celebratory and upbeat passionate melody, and “Spirit Of The Living God” being a more quieter and contemplative piano led ballad, which builds into an epic orchestral like anthem that brings chills down my spine. Yet both songs are similar in terms of theme, with Meredith asking God to work in our lives in the way He wants to, as she sings that ‘…we surrender all to You, do what You want to…God we want to see You move…’, while in “Spirit Of The Living God” she delves into the effects of God’s change in our lives, that ‘…when You speak, when You move, when You what only You can do, it changes us, it changes what we see and what we seek…’. What a brilliant set of two songs that hopefully will be on Meredith’s next studio album, that are also in the running to be in my top 30 songs of 2015! I know, I know, it’s only January, but that’s how strong these two songs are! Well done Meredith for moving us and inspiring us with your beautiful voice and encouraging words! While the upbeat album closer “Bound In Glory”, led by Jon Guerra and driven by electric guitar, and sung in the country/bluegrass genre speaks about being destined for great things because Jesus in with us and has our life known from since the dawn of time, bringing us comfort as Jesus has everything known and planned since the beginning (and this point is bound to create controversy and discussion); “Shout It Out” and “None Like You” are led by Gabe Finochio. Gabe is one half of the worship duo The Royal Royal. I’m not sure what it spells for the duo, whether they are disbanding or not, however Gabe’s introduction into Vertical Church Band could not be more smooth and transient. “Shout It Out” is a dance/EDM/remix type melody that basically reminds us that we can shout out God’s praises because of Jesus being alive in us. It reminds me of the recent Planetshakers songs and that’s a good thing- Gabe injects a bit of vitality into the band that makes things fresh and more relevant. Gabe’s final offering is the slower tempo ballad “None Like You”. A more simpler yet nonetheless effective and inspiring worship song, Gabe invites us into communion with God, reminding us that there is none like Jesus in all of the Earth. Singing out in the bridge ‘…Jesus, crucified, raised to life…lifted high, lift Him high…’, the lyrics may seem cliché, that ‘…God of glory, there is none like You…’, but the truthfulness of the tracks and passion and sincerity of Gabe trumps any simplicity lyrically. This melody is one of my favourite songs on the album; and all in all Church Songs is an exemplary album that deserves more and more spins on iTunes or any other music device. It’s that good! Vertical Church Band has done it again! With many bands/movements that have been impressing me of late, including Hillsong, Bethel Music, Jesus Culture, Passion, Desperation Band, Worship Central and New Life Worship; this group of musicians who are obviously hungry for Jesus Christ and His presence, stand tall amongst all of these talented men and women of God. It’s a tough gig, ‘competing’ with musicians who are equally as good, however Vertical Church Band is sure to be around for a while yet. As I hope and pray that individual artists such as Kyle, Andi, and Tara create solo albums for us all to hear sometime soon, and anxiously wait for Jon and Meredith to release new solo projects, fans of worship music in general should not miss this fine and enjoyable worship experience! 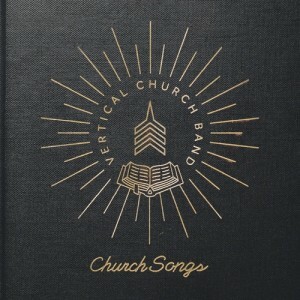 Well done Vertical Church Band, and I look forward to the 4th live album, whenever that may be! If 2015 in Christian music follows this trend, then it will probably be the best year in music period. 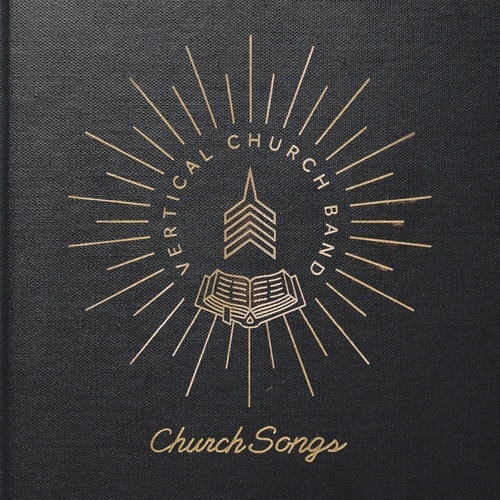 Check out the recent webcast of Vertical Church Band’s Church Songs below, and let us know what you think of the new album, the live performances and the stories behind the songs! I have just one favorite song in this album and it is If I Have You. It’s been on repeat in my music player since yesterday.